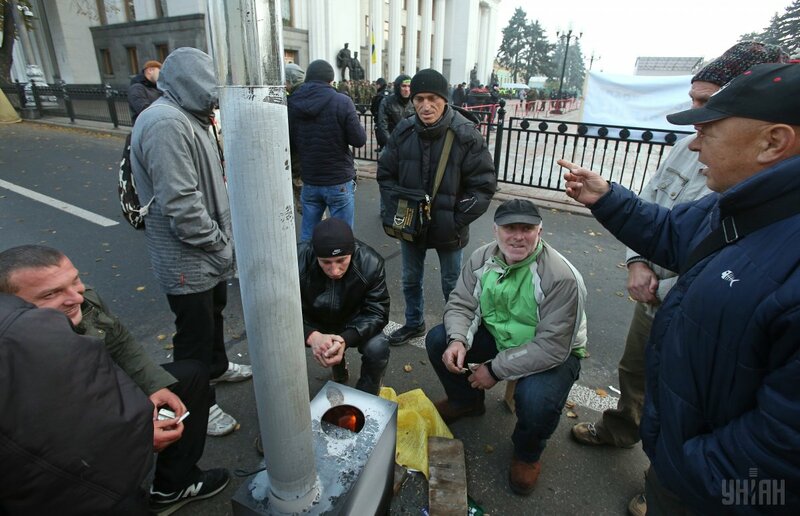 The rally launched October 17 by a number of political forces and NGOs outside the Verkhovna Rada of Ukraine is continuing without gaining momentum. The next plenary meeting of people's deputies is scheduled for November 7, while the activists say they do not intend to fold their tents, TSN reports. Last night saw no scuffles with law enforcers. Read alsoPoroshenko says "respects" Kyiv protests, calls for peaceful rallyThe activists say they are going to continue the rally until all demands they had put out are met. As UNIAN reported earlier, on October 17, a rally began outside the Verkhovna Rada of Ukraine, with activists demanding from Parliament to abolish parliamentary immunity, create an Anti-Corruption Court, and change the election legislation.